Dubai: Dubai’s developers — especially the private players — are piling on the incentives to get buyers into their off-plan projects. More of them are now offering rental guarantees for a certain number of years after handover as part of the deal — a detail that will be particularly sweet for investors. These rental guarantee schemes on offer are in the high “single digits” and extend between three to five years after handover. And such incentives are not limited to any particular freehold location in Dubai — chances are that an investor will come across a developer offering one in Meydan and Business Bay as well as in mid-tier locations such as Jumeirah Village and inside Dubailand. For investors in Dubai, they are spoilt for choice — and that is not just in the type of properties they can buy. Developers are already offering deals whereby they absorb the 4 per cent registration charges that need to be paid to the Dubai Land Department. All through last year, several off-plan launches were backed up by developers offering quite generous post-handover payment schemes, which could extend to between two and five years. (One or two have even allowed up to 10 years.) If you add those incentives and then factor in the guaranteed rental guarantee for a certain period, investors should have no reason to quibble. At least, that is what developers are hoping they will do. And their efforts seem to be bearing results too. All through the second-half of last year and into the first quarter, off-plan launches in Dubai were on a much stronger wicket than those in the secondary space. Some estimates suggest off-plan accounts for 60 per cent of overall transactions. But can developers keep absorbing such costs without it affecting their margins? “Such rental guarantees (if they are not offered with post-dated cheques) exert strain on developer finances,” said Lakhani. “They are a mechanism by which developer profitability is being adjusted lower at the higher end of the market. In any price/incentive war only developers stand a chance to win. It means that investors trying to sell in the secondary market now have to make steep cuts on their asking prices to stand any chance against off-plan launches. And there are reports of secondary market transaction prices remaining under intense pressure — this is not going to go away any time soon. 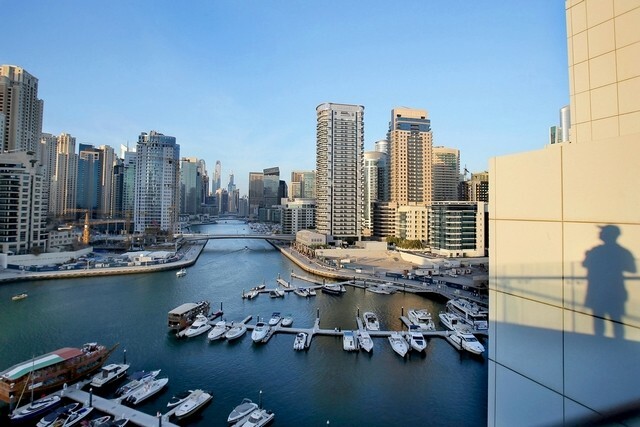 Even if Dubai’s property market absorbs 20,000 units or thereabouts for each of the next two three years, developers seem to be relatively confident that rentals will remain at current levels. Or even go higher as the build up starts in earnest for Expo 2020.